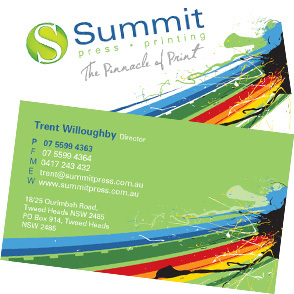 Summit press printing offers a wide range of quality services. We can deliver the finished product to your door. Need a custom job? We enjoy the challenge to produce new and innovative print! Summit Press Printing provides you with a quality printing company that will service you’re printed requirements and help to solve your print related problems. We offer complete customer support from design and pre-press through to total in-house print, finishing and fulfilment. We will organise your printed needs from creation through to despatch. The finishing department complements our offset and digital facilities. We have a wide range of in-house services so as you receive a printed, finished and professionally packaged product ready for either delivery or collection. We always invest in the latest printing technology, producing a quality indistinguishable from litho work, with such quality and precise printing, why wouldn’t you go digital? Why buy thousands of leaflets for stock, when you can order as required? Save on expensive space in your premises, eliminate stock damage, and never have to throw away out-of-date or surplus stocks. Completing a job properly is a very important part of our organisation. All jobs are packaged and labelled, detailing the contents of the printed job clearly and concisely. At Summit Press Printing we only produce quality printing, we will always on request, provide you with a printed proof before your job commences printing so you can check your job. We have a huge range of product from standard business cards & catalogues to post cards and annual reports. Due to the high volume of work we produce we will always offer you the most competitive price possible. Think Summit for all of your commercial printing needs.